Fettuccine Rigate, or “ridged little ribbons,” is an American innovation, with the elegance of its sister-shape, Fettuccine, but is graced by ridges on both sides. 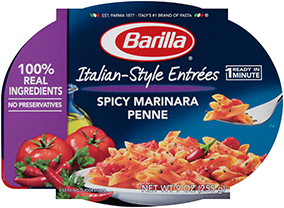 Barilla® Fettuccine Rigate is made with non-GMO ingredients. For more information, please read our position.